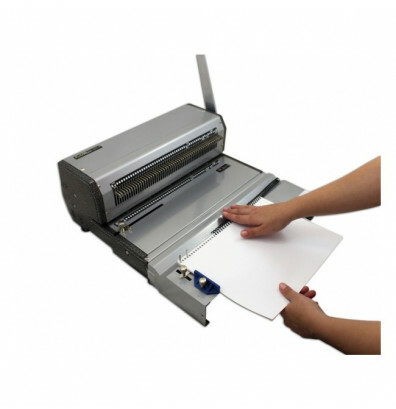 Akiles CoilMac-M plastic coil binding machine is easy to operate and multi-functional. Able to punch paper or hardboard. Designed with detachable inserting table so two people can punch and bind at the same time. - Binding Capacity: Up to 2"
Akiles CoilMac-M manual punch and binding machine offers an open ended punching length to accommodate oversize documents. Can punch up to 20 sheets of 20 lb. 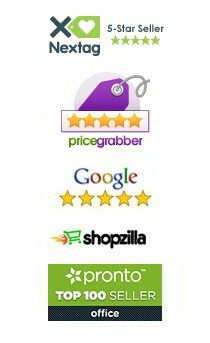 paper or up to 2.6mm hardboard (28 sheet equivalent). 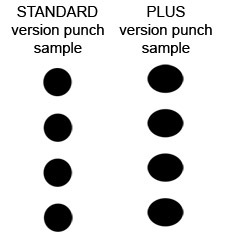 The side margin control ensures centered punches. 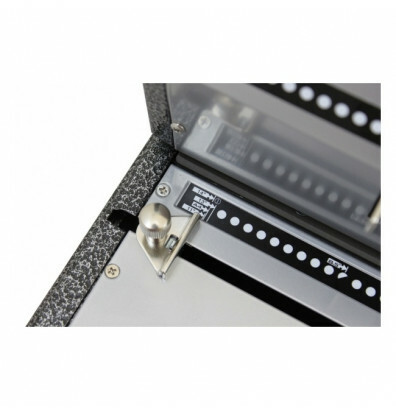 Binding capacity of up to 2" and includes an EZ inserting table that assists with the insertion of coils into documents. Rugged all-metal construction. The ideal tool for important coil binding jobs. The Akiles CoilMac-M features a detachable EZ inserting table so that one person can punch the paper while another person inserts coils. Punching margin control provides the correct punch-margin-depth for each coil size and maximizes the document's tear resistance. Cast-hardened and heat-treated steel dies provide superior strength for clean perforations. 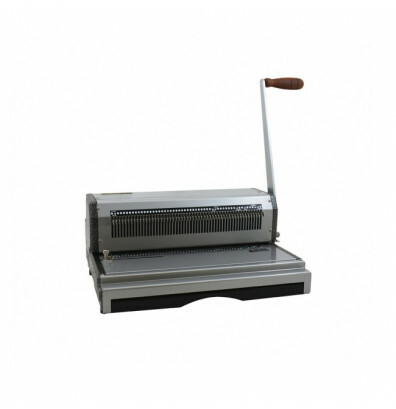 This plastic coil binding machine is available with standard 4:1 pitch or 4:1 letter (Plus version). The CoilMac-M Plus uses oval holes to improve binding speed and includes fully disengageable pins for professional level punching of any paper size. 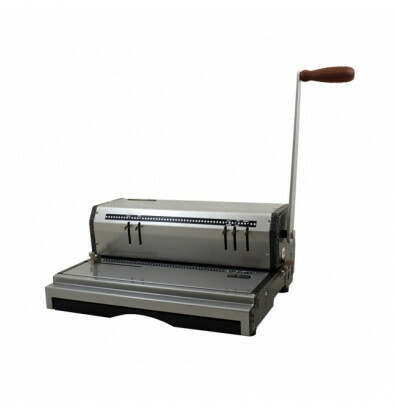 Extended 13" punching length with open ends to accommodate sheets up to 26"
Good, durable coiling machine. Perfect for small office needs. Great value.